Newest ijoy RDA combo SRDA, which made of high-quality stainless steel, seven fashionable colors available, the new ijoy RDA is the first RDA comes with pre-made coils, vapers no need to build coils by yourself. 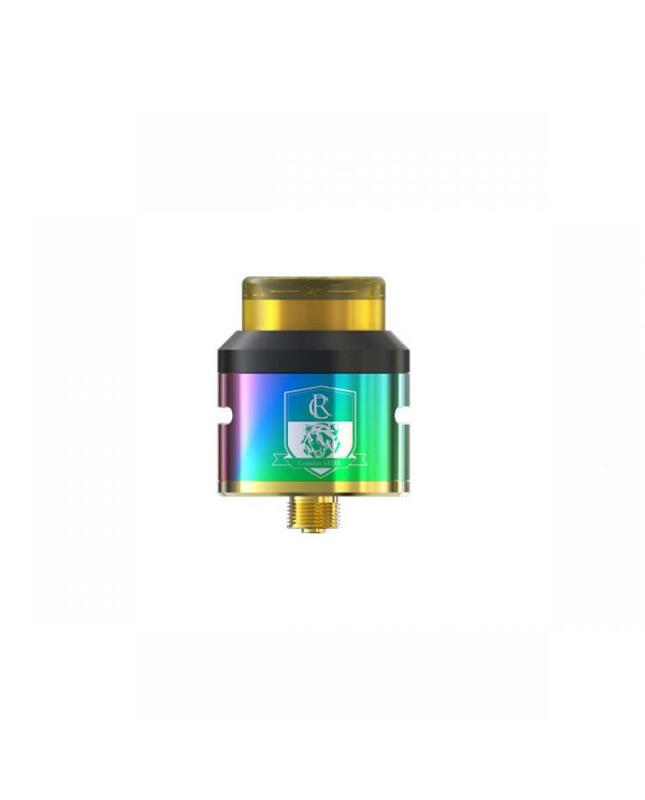 the new pre-made RDA coils have two options, the 0.13ohm SRDA-CE, and 0.1ohm SRDA-CF coils, the SRDA-CE can fire up to 80W, and SRDA-CF can fire up to 100W.the combo SRDA can be disassembled, cleaned and replace the cotton with special wrench quipped to achieve the purpose of repeated use, side airflow adjustable, only rotate the stainless steel tube, it will produce a large cloud of vapor. the combo SRDA comes with wide bore 810 Ultem drip tip, dripping compatible, the bottom is equipped with gold-plated squonk pin, which can be used with squonk vape mod.